Product prices and availability are accurate as of 2019-04-22 04:37:00 UTC and are subject to change. Any price and availability information displayed on http://www.amazon.com/ at the time of purchase will apply to the purchase of this product. 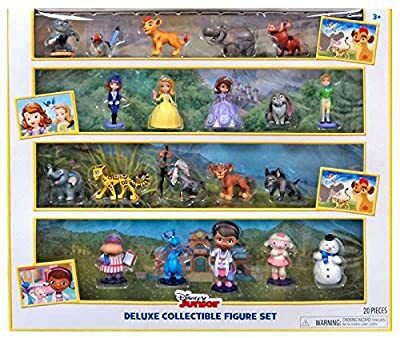 Includes 20 Characters from Sofia the First, Doc McStuffins, The Lion Guard, The Lion King. Characters for Sofia the First include Sofia, James, Amber and Clover. Characters for Doc McStuffins include Doc, Stuffy, Lambie, Chilly and Hallie. Characters for The Lion Guard include Kion, Bunga, Fuli, Kiara, Beshte, Janja and Mtoto. Characters for the Lion King include Rafiki, Pumbaa and Zazu.